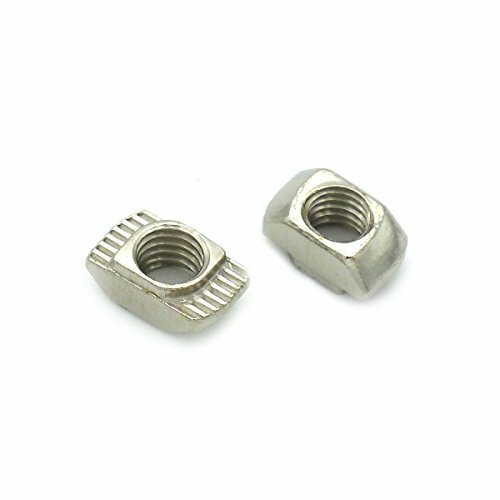 There are 3 different sizes of T slot nut in this set from which you can use for different purposes. 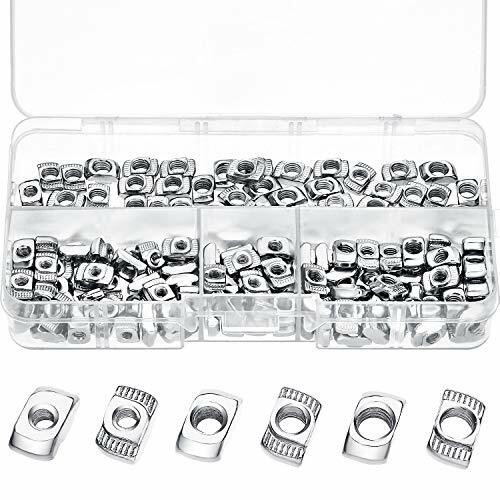 The t-nut assortment is made of carbon steel with rust-resistant, sturdy and durable in use. 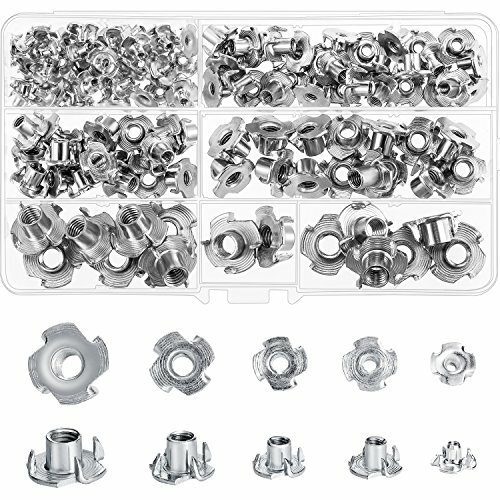 Each size of T slot nut is stored in an individual compartment of the storage box, convenient and quick to pick up the size you needs. 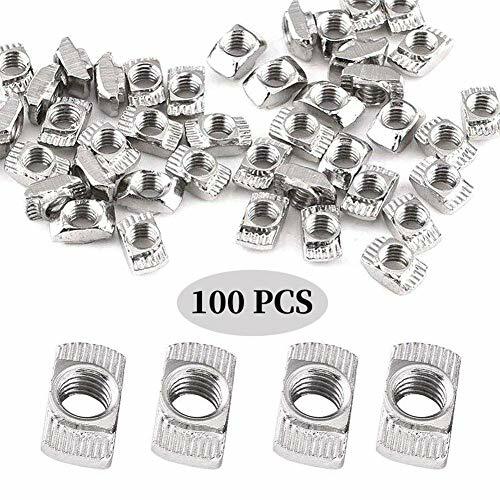 T-nuts are suitable for 20 series aluminum profile, widely applied for building industrial aluminum frame structures, 3D printers, CNC routers, CNC laser cutters, robotics projects. 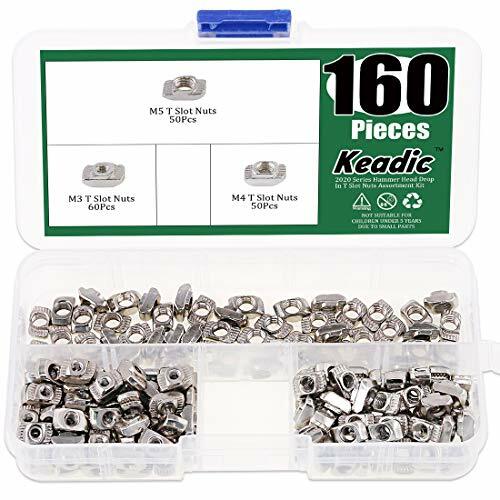 壟Keadic 160pcs 2020 Series T Nuts, M3 M4 M5 T Slot Nut Hammer Head Fastener Drop in Nuts Assortment Kit 壟Specification:  Material: Carbon Steel with Nickel Plated Surface  Size: 2020 series; M3 M4 M5  Application: 3D printer, construction industry aluminum frame structure, CNC laser cutting machine, CNC router, robot project, etc. 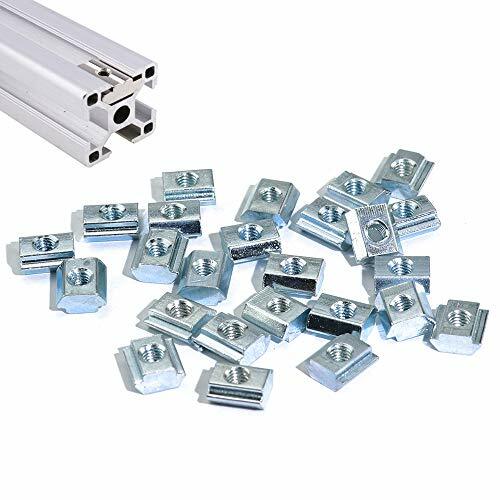 壟Package Includes: M3 - 60pcs M4 - 50pcs M5 - 50pcs  Packaged with an organizing box 壟Warm tips: In order to avoid causing accident hurt, please put these items on some places that the children under 3 years old can not reach. 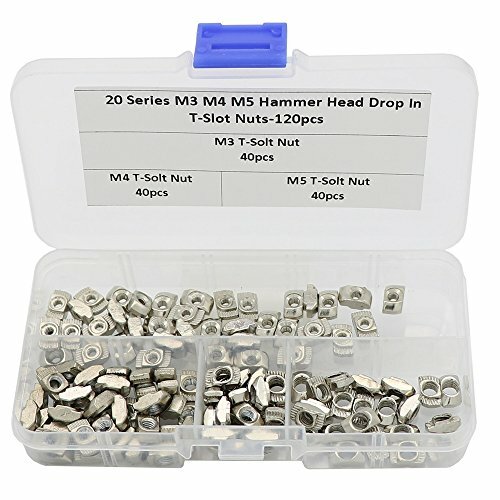  2. 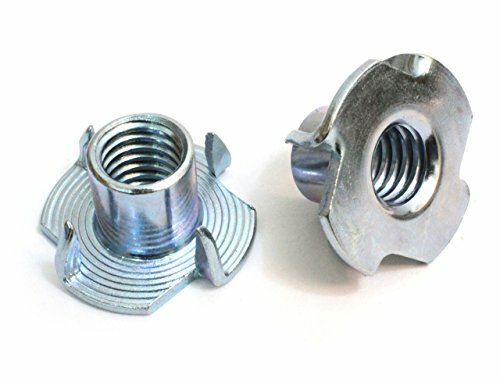 High Quality Material These T slot nuts are made of Carbon Steel Nickel Plated material, which have great corrosion-resistance, oxidation resistance and high hardness, with long time service. 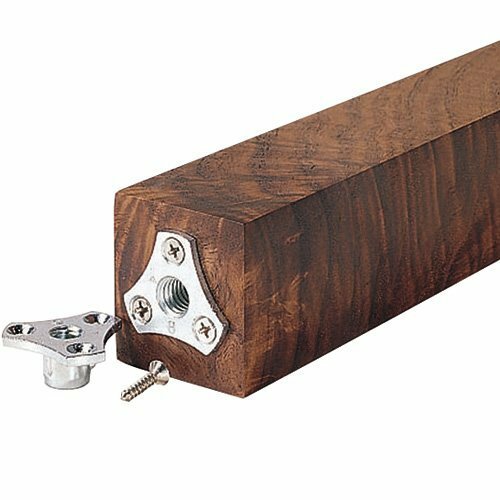  3. 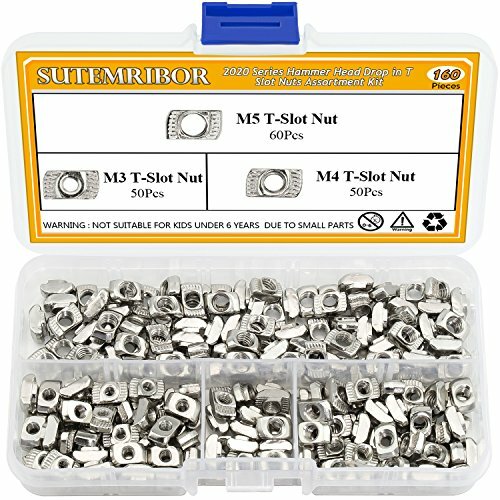 Package of Products Our T nuts set includes M3-60pcs, M4-50pcs M5-50pcs nuts, all of which are packed in a sturdy plastic case, perfect for 20 series Aluminum Profile. 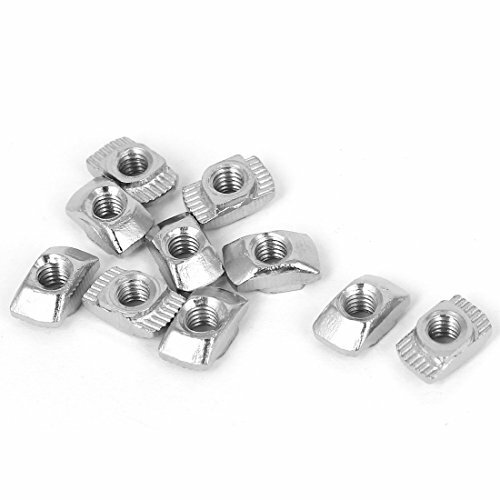  4. 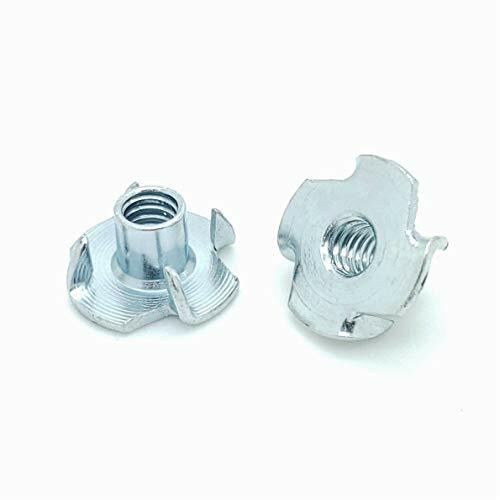 Wide Application These drop in t nuts are perfect for 20 series Aluminum Profile, such as 3D printer, construction industry aluminum frame structure, CNC laser cutting machine, CNC router, robot project, etc.  5. 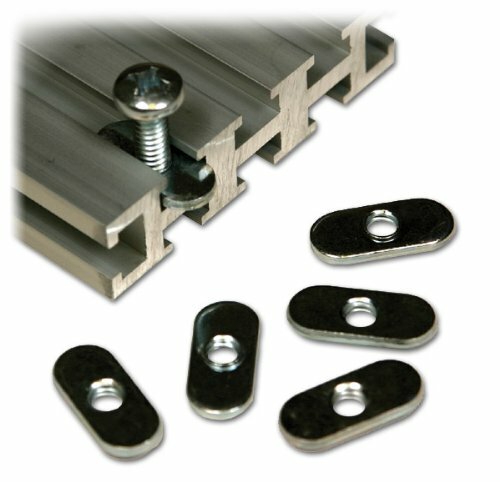 Reliable After- sale Service We are highly confident with our products. You will not regret if you got it. If you have any problems about them, please feel free to contact us, we will reply you within 12 hours. 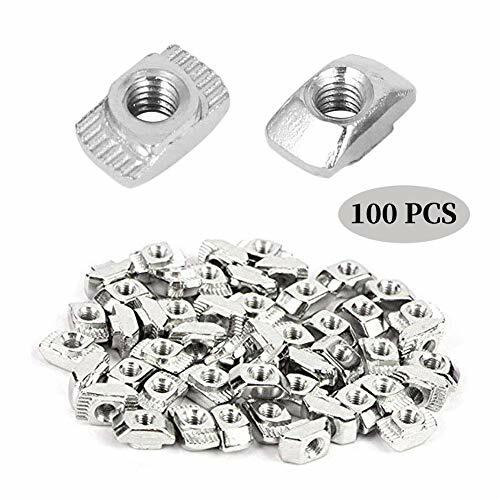 If you are not really satisfied with our products, you could return or change them with no charge within 90 days, so you please purchase them carefreely. 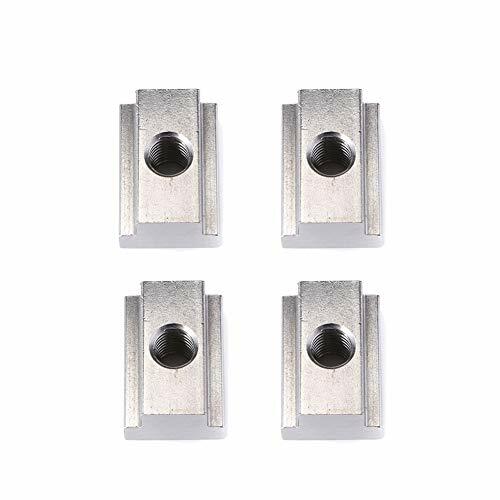 Wish you a nice shopping time! 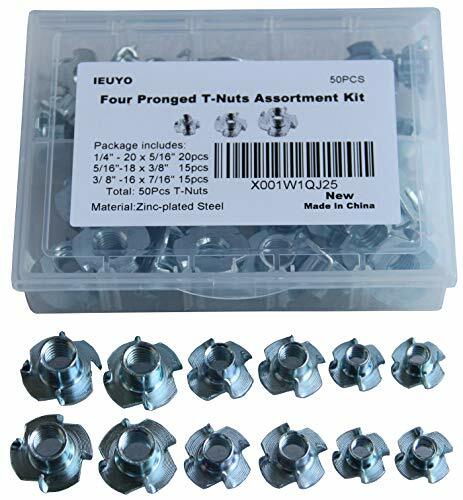 T-nut is a type of nut use for fasten a wood, particle or composite materials work-piece, leaving a flush surface; It has a long, thin body and a flange at one end, resembling a T in profile. 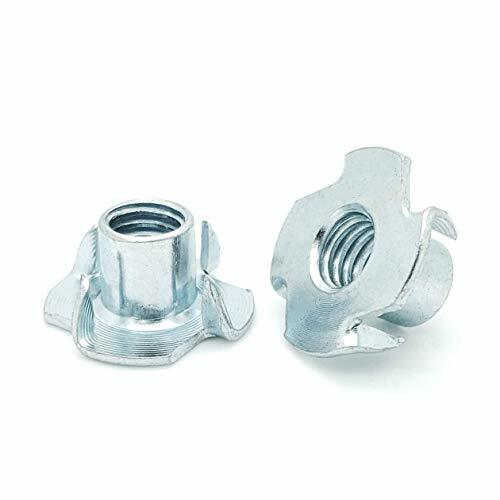 The flanges of T-nuts have prongs that dig into a wooden work piece as the bolt is tightened from the opposite side of the piece, providing better retention. 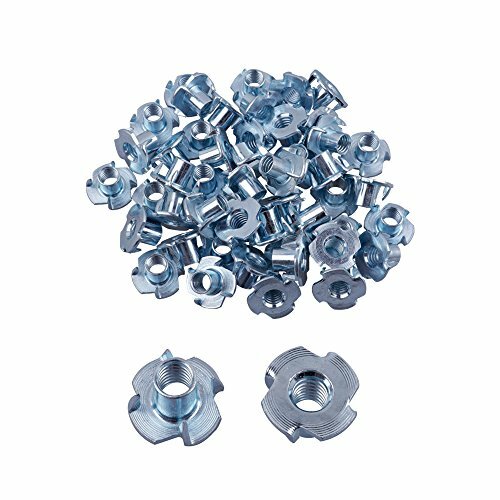 Multi application: use on sheet metal and wood; Available for household appliances, office equipment, toys, electrical appliances, furniture, etc.